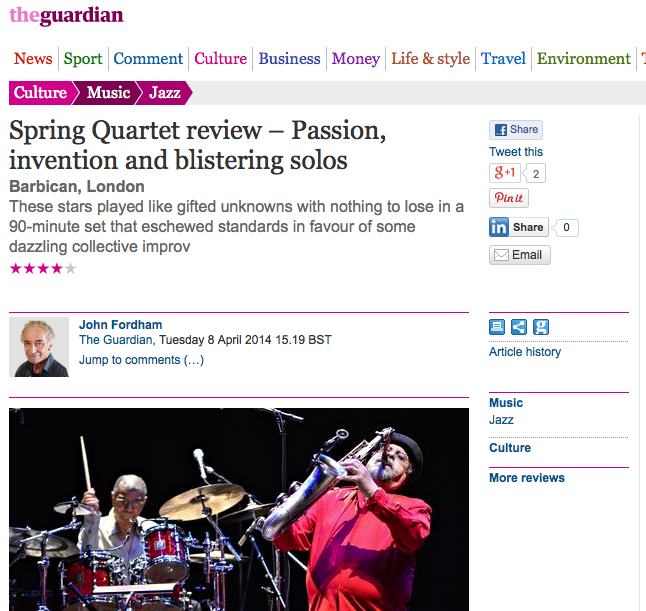 John Fordham reports the show that Jack DeJohnette, Joe Lovano, Esperanza Spalding and Leo Genovese delivered last Tuesday April 8th at the Barbican in London. In his own words, the quartet played like a group of gifted unknowns with nothing to lose, eschewing famous covers and standards, tersely punching out the themes as if impatient to get down to solo and collective improv. Read full review on The Guardian.com.